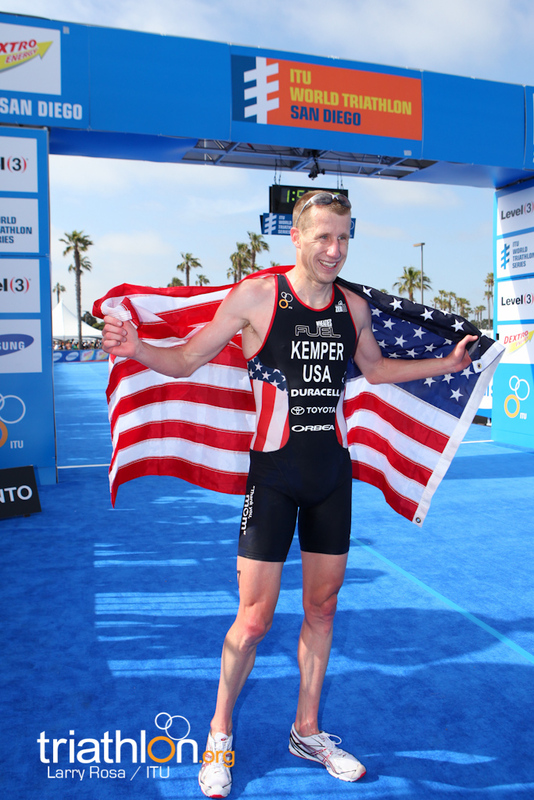 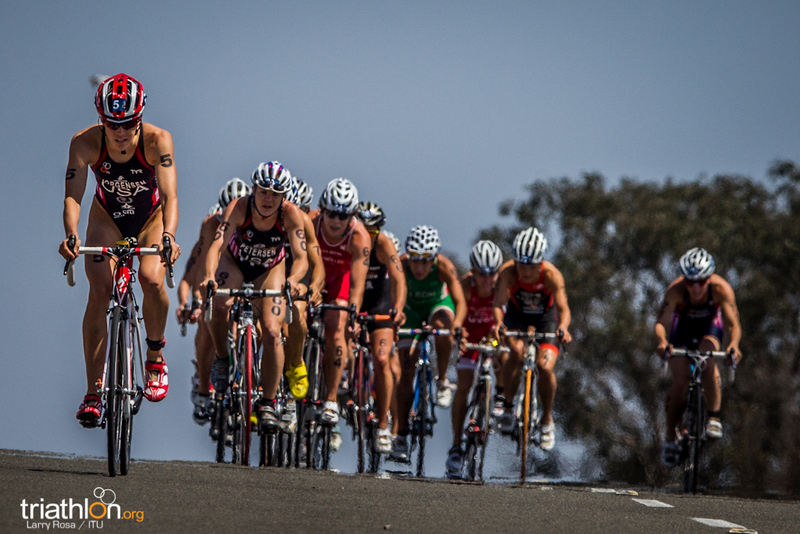 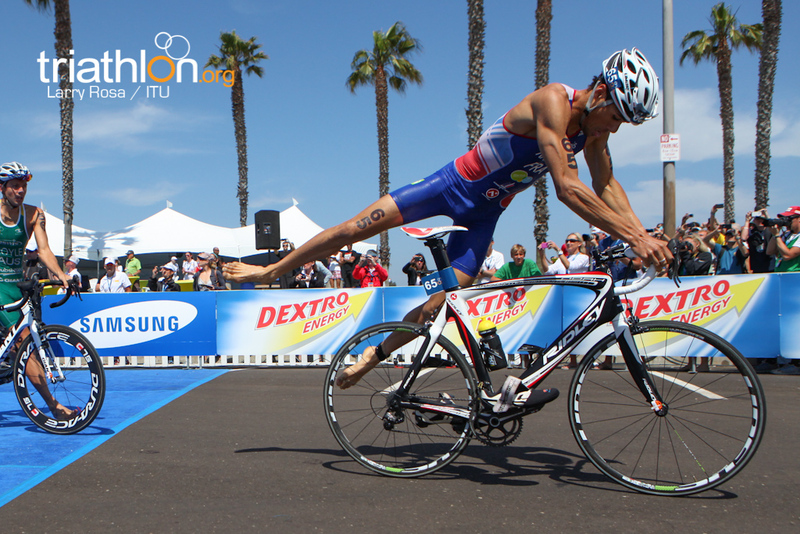 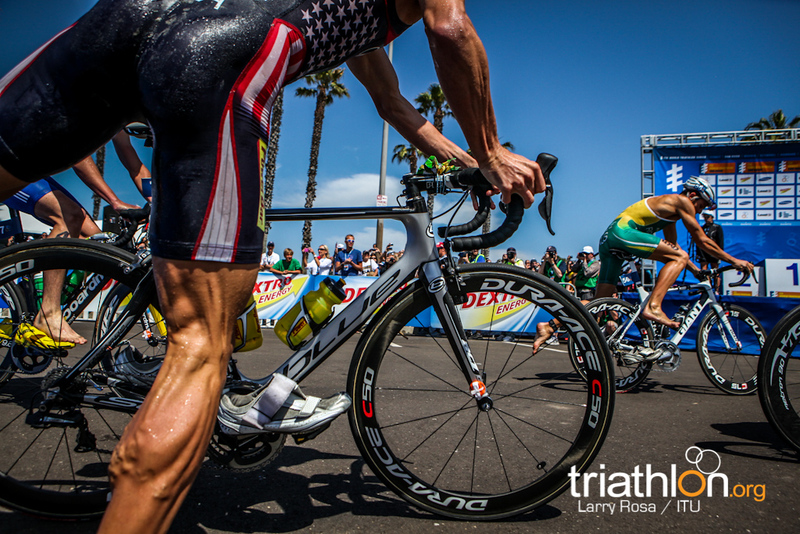 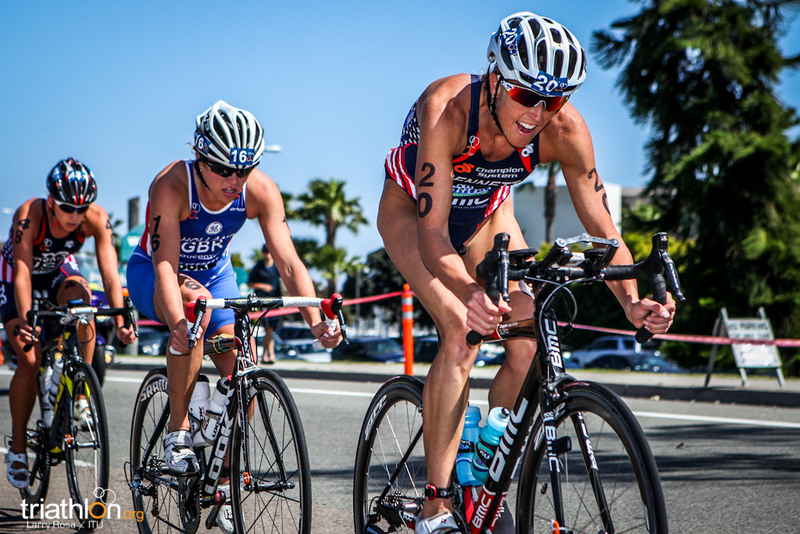 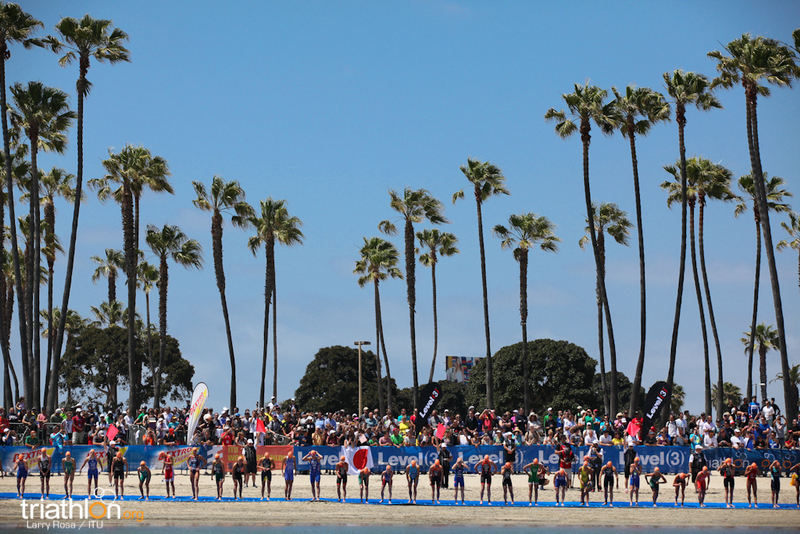 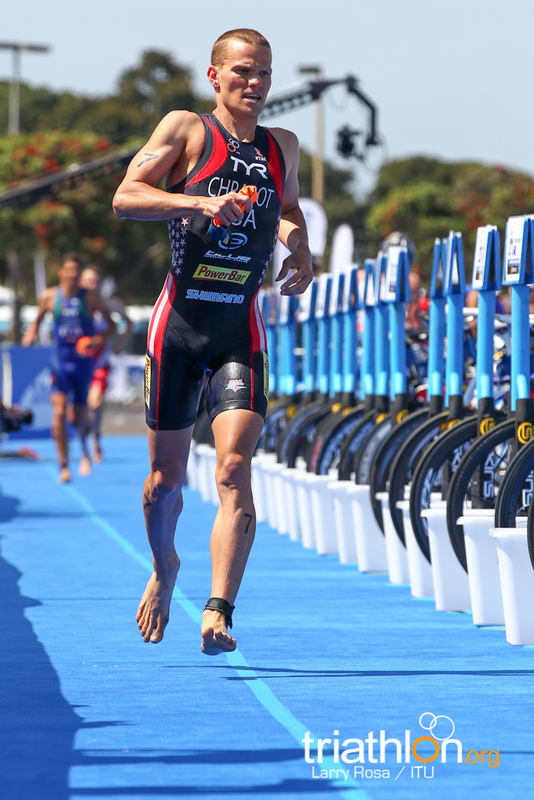 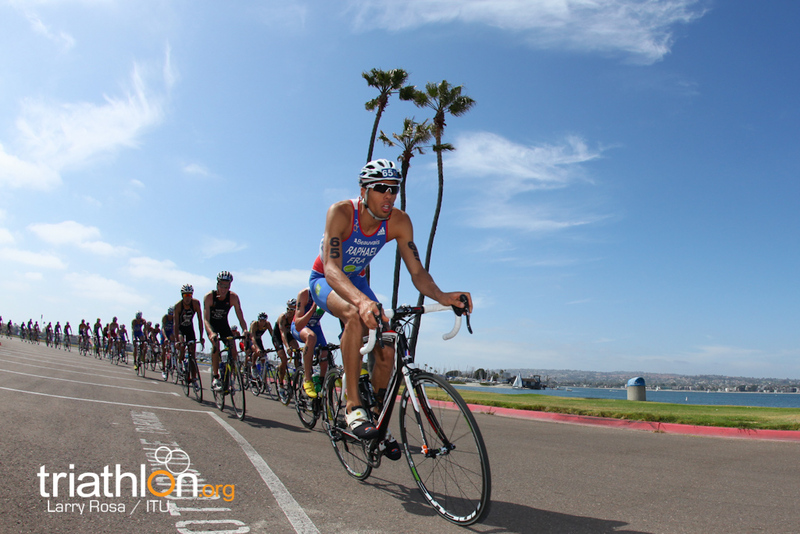 This weekend presents a rare opportunity to witness history in the making as triathlon returns to its roots in San Diego. 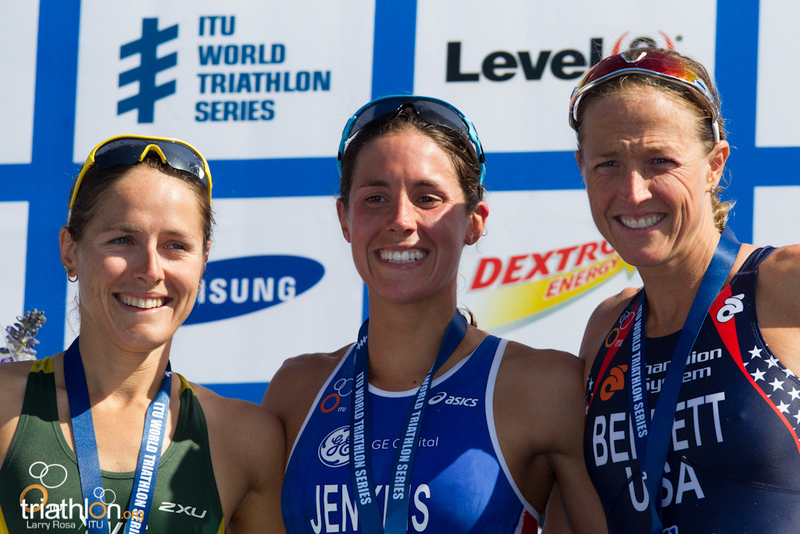 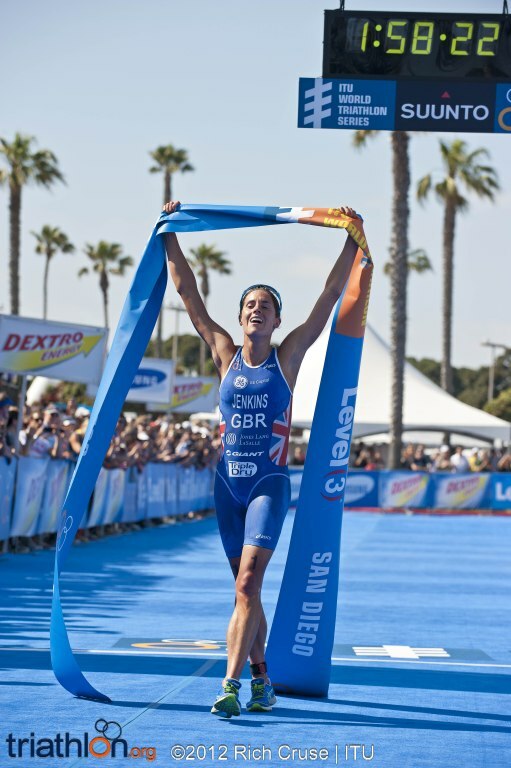 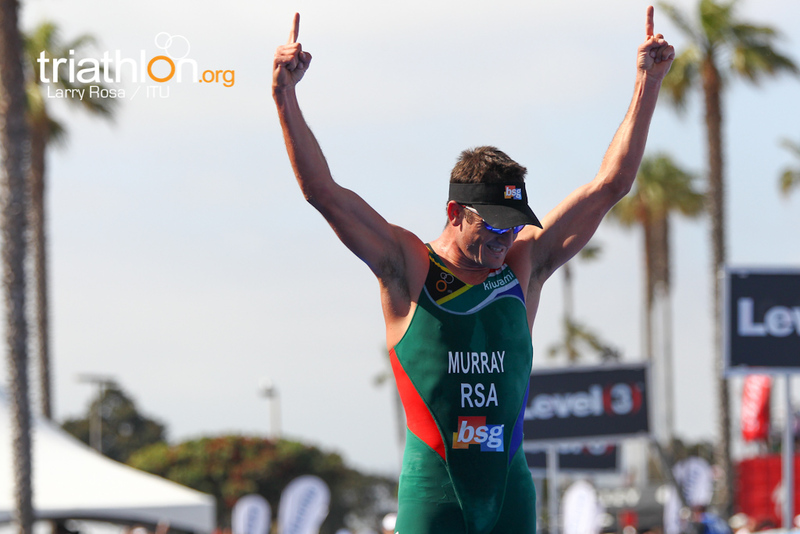 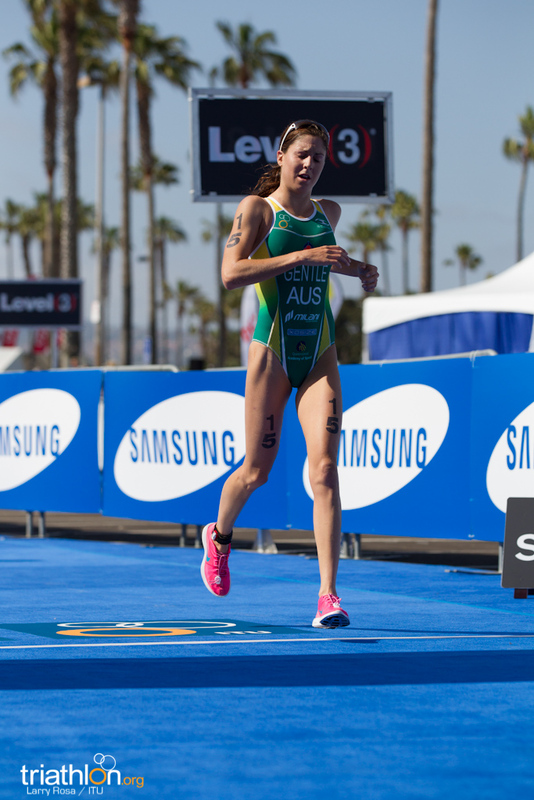 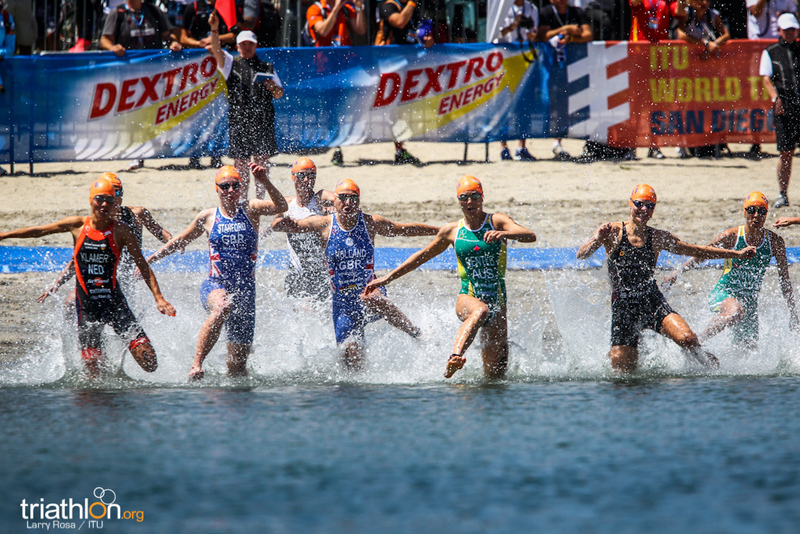 The second ITU World Triathlon Series event of 2012 offers the perfect chance to reflect upon just how far the sport has come from its humble origins. 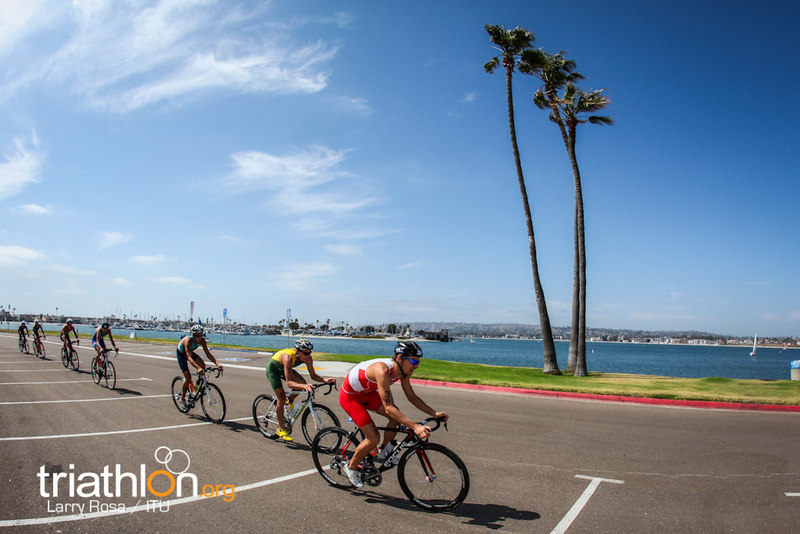 Triathletes in San Diego this weekend will compete just metres away from the site of the very first modern triathlon competition held on 25 September in 1974. 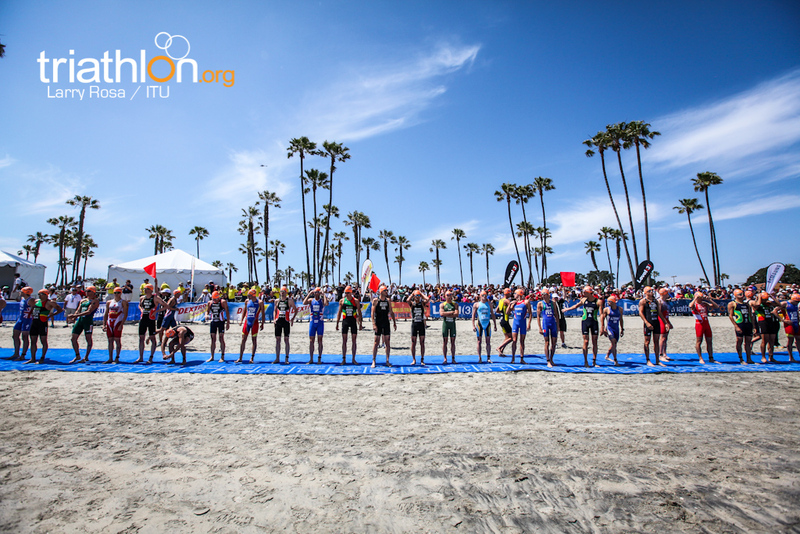 As an alternative to a track workout, at 5:45pm 46 members of the San Diego Mission Bay Track Club completed a 5.3-mile run, a proportion of which ran barefoot over grass and sand, followed by a 5-mile cycle and a 600-yard swim in Mission Bay. 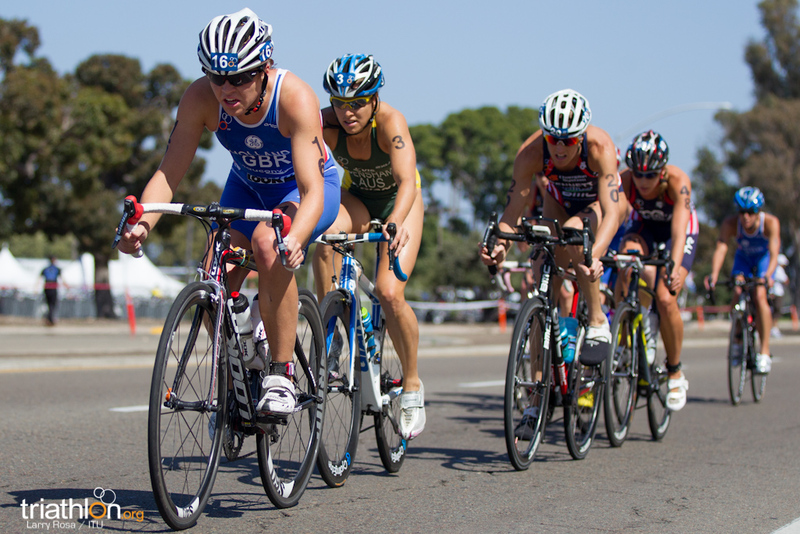 The sport quickly gained popularity and within a matter of years became one of the fastest growing sports in the world. 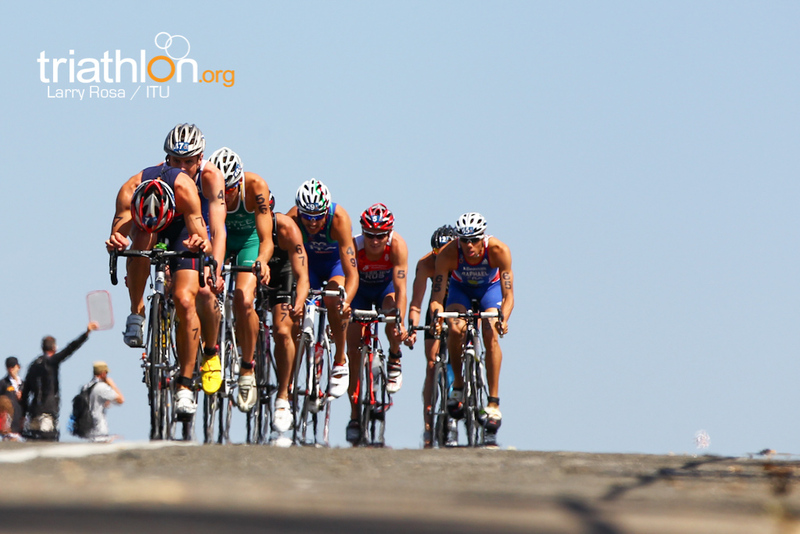 Fifteen years after the landmark race in 1974, the International Triathlon Union (ITU) was formed in 1989. 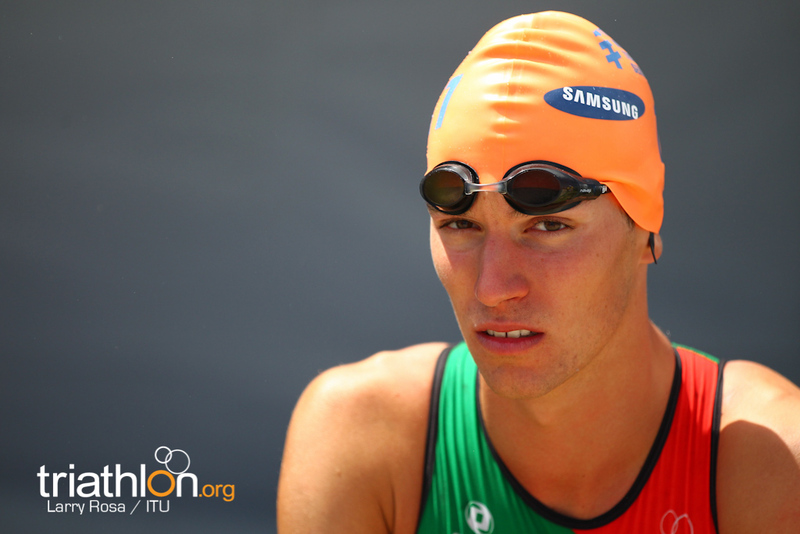 ITU now has over 140 affiliated National Federations on five continents and is the youngest International Federation in the Olympic Games. 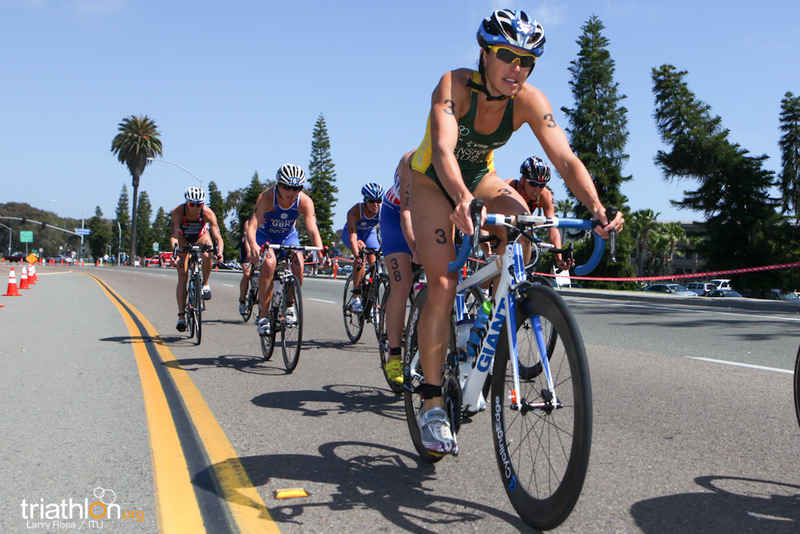 A regular host of the ITU World Triathlon Series, Sydney is where triathlon made its Olympic debut in 2000 and over the years triathlon has developed on a global scale, now featuring in the Asian Games, Pan American Games and Commonwealth Games. 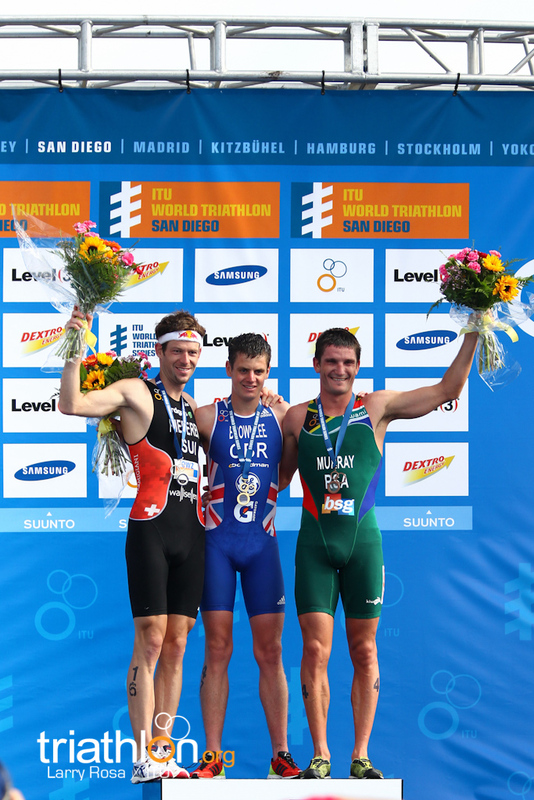 Paratriathlon has now been accepted into the Paralympic Games and will make its Paralympic debut in Rio 2016. 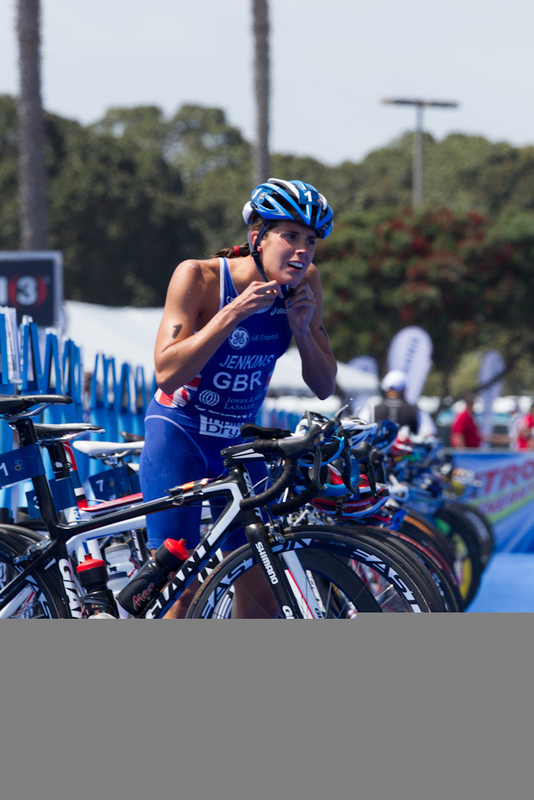 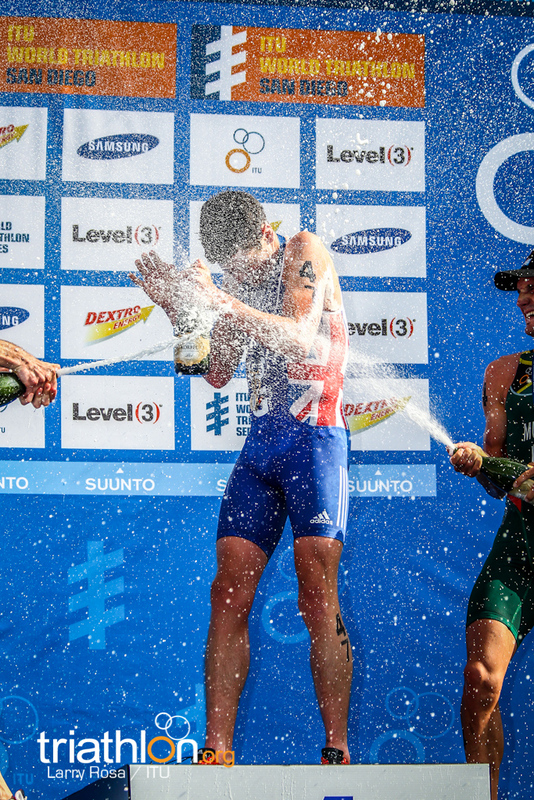 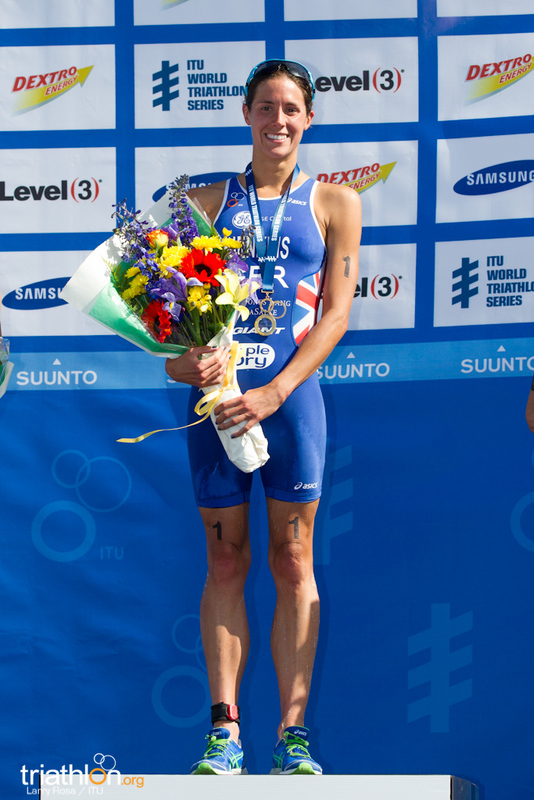 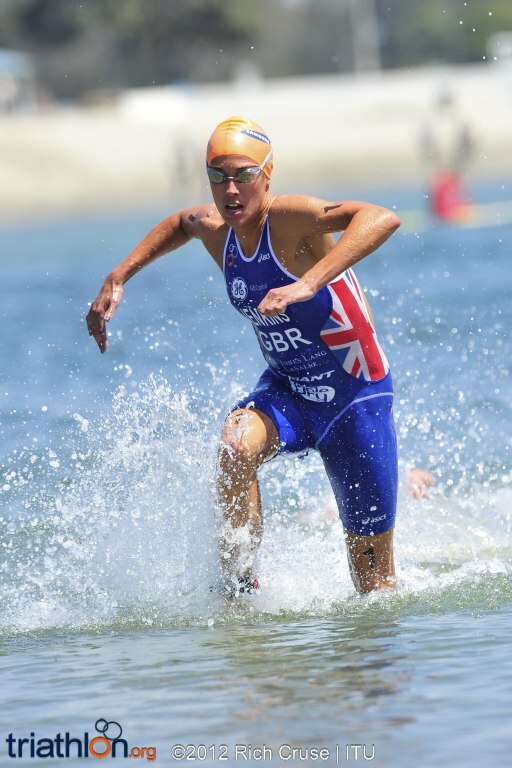 In addition ITU has Olympic programme aspirations for the Triathlon Mixed Relay with this new event voted into the Commonwealth Games programme and recently added into the 2014 Glasgow Commonwealth Games, four years earlier than anticipated. 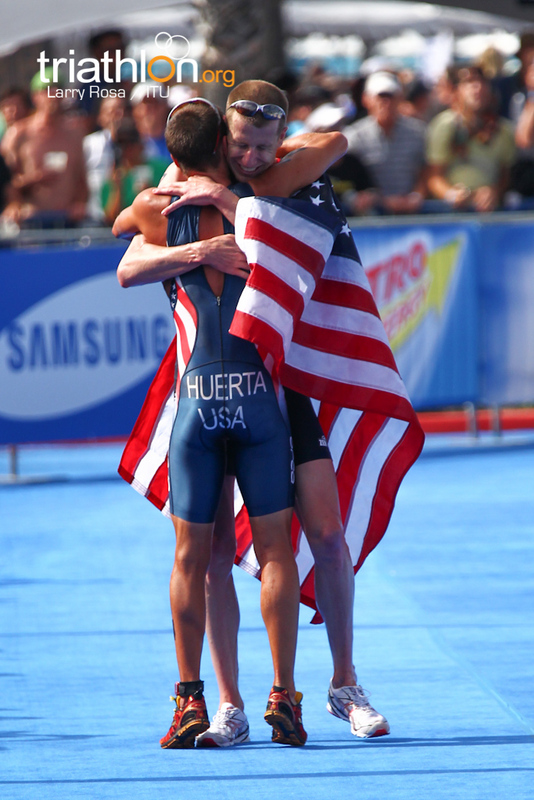 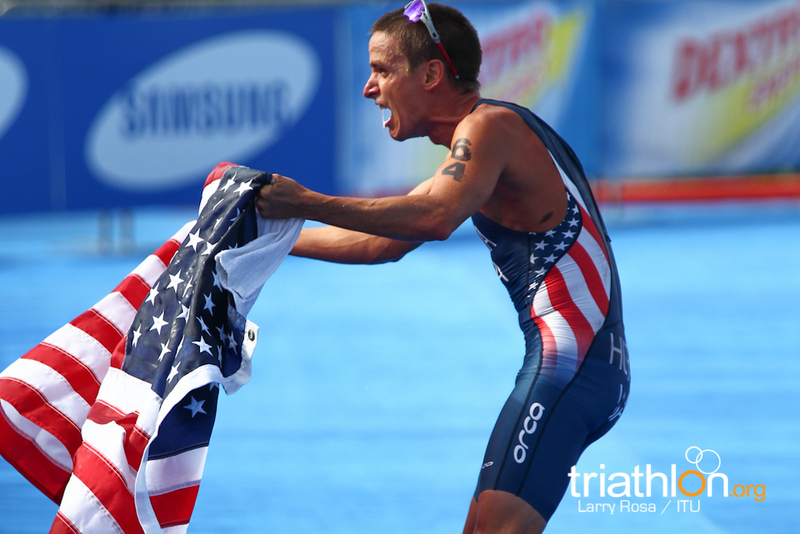 It is truly incredible to see the rise of triathlon over the course of its short history. 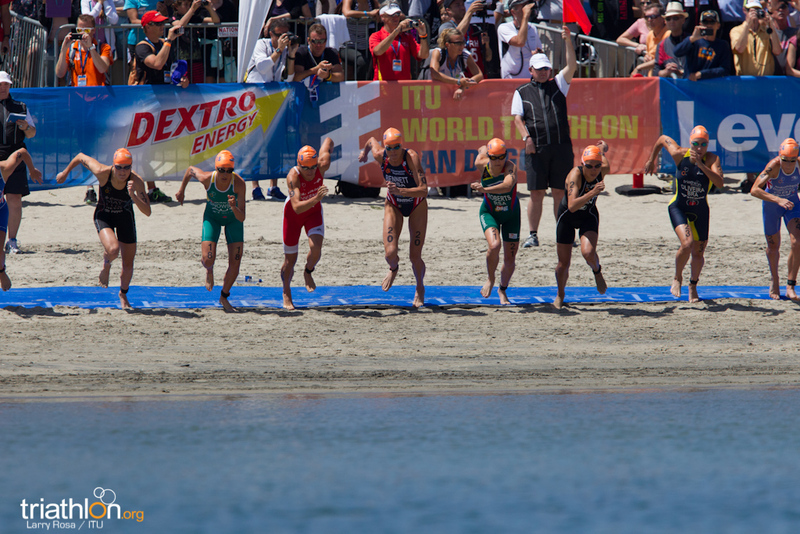 It is fitting then, that the sport should return in this Olympic year to host one of the most important events on the ITU calendar. 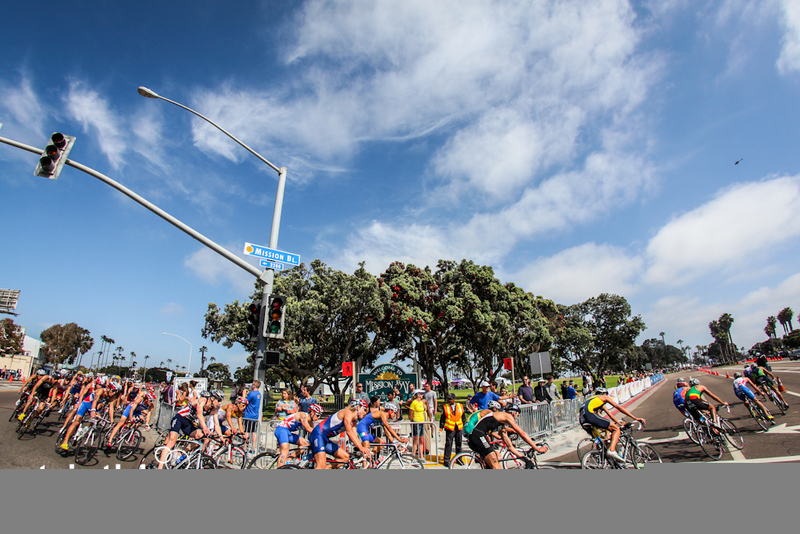 The birthplace of triathlon offers mild, sunny weather with miles of coastline and is easy to see how the Mission Bay waters tempted the very first triathletes. 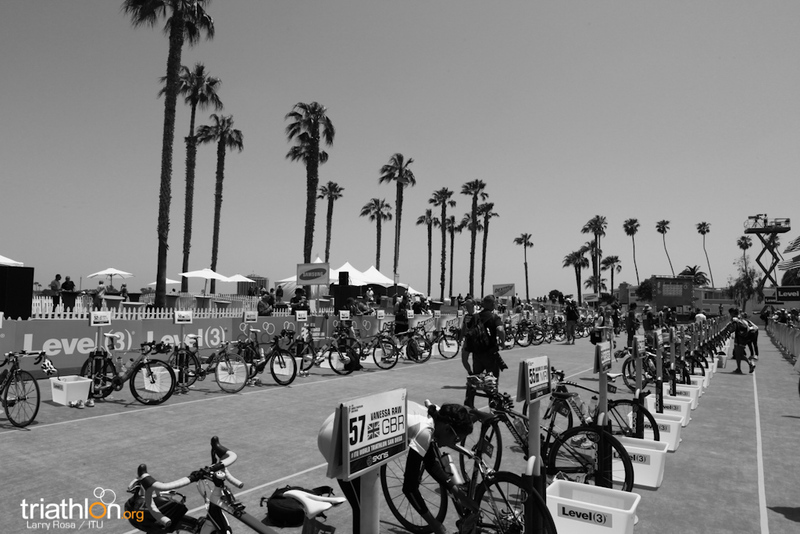 The race this weekend centres around Mission Beach, sprawling two miles of Californian coastline. 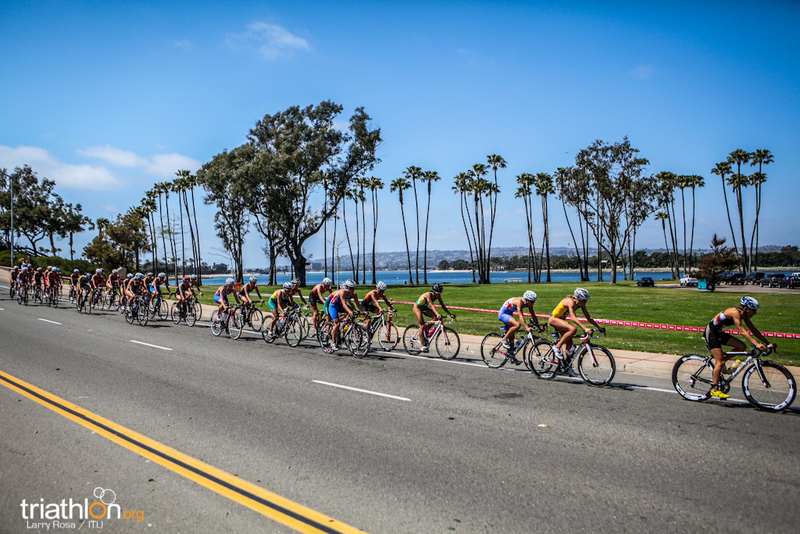 Triathletes will swim two laps in Mission Bay before tackling the bike course which includes an ascent up Mount Soledad offering spectacular views over La Jolla, Mission Beach and Pacific Beach. 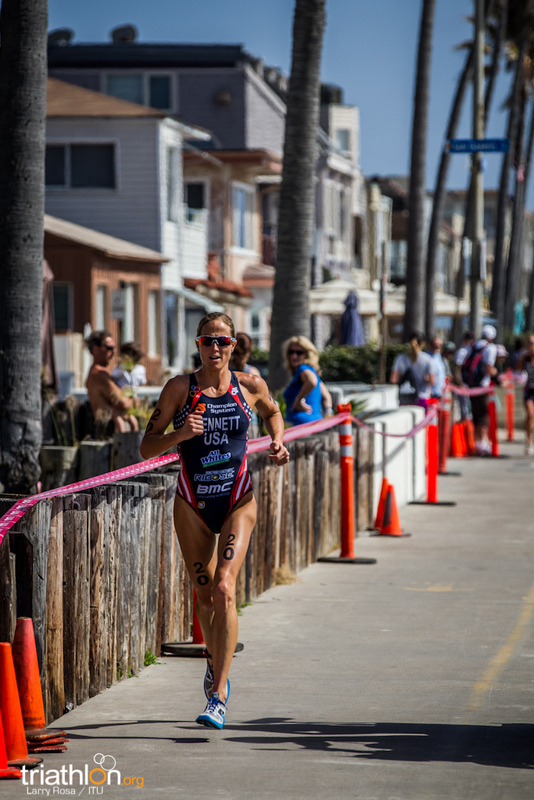 San Diego has additional importance for the U.S. team as they fight for their final chance to automatically qualify for the Olympics. 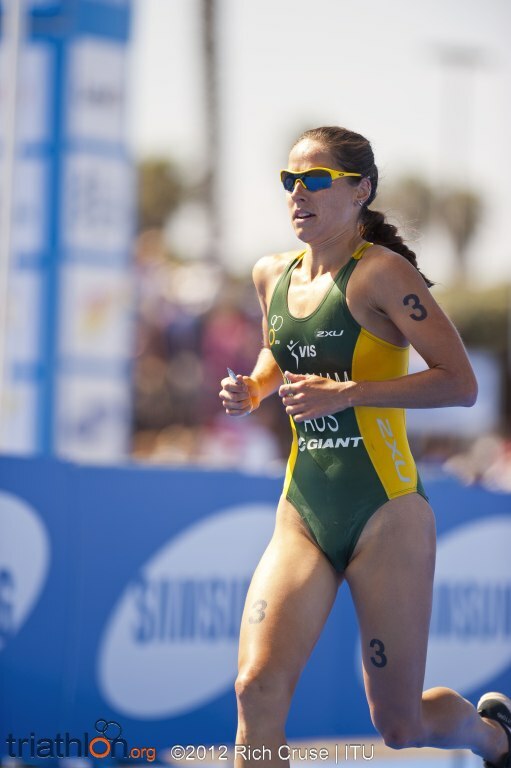 Only Gwen Jorgensen and Sarah Groff have secures their spots for London 2012, but the entire men’s team is yet to be determined. 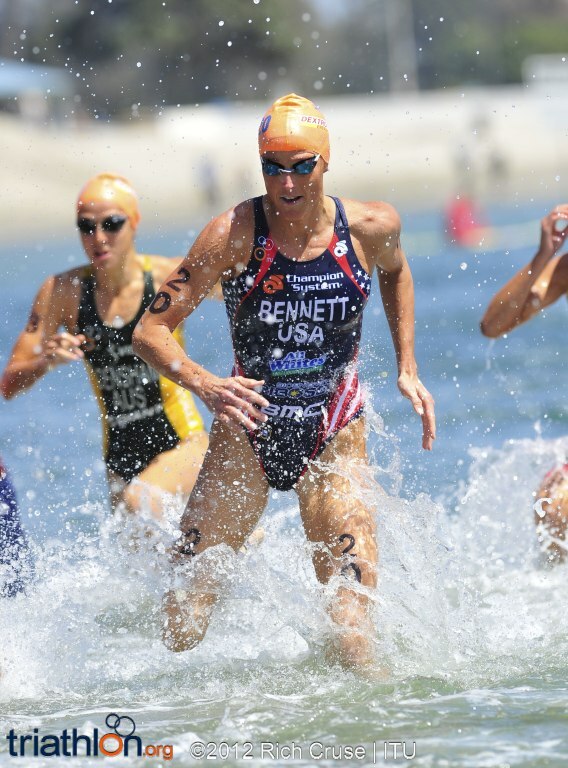 The U.S. team will hope to monopolise on their home advantage on this new course, but it is the first American male across the line in San Diego that is guaranteed a place in the U.S. Olympic Team. 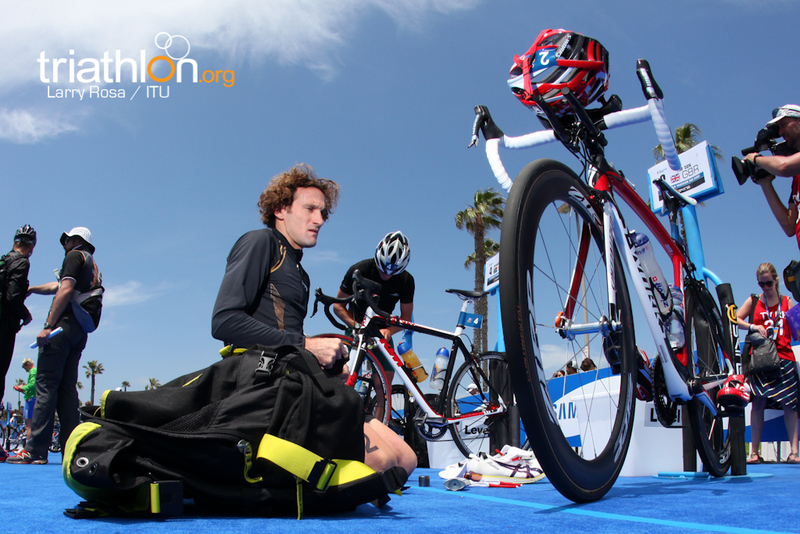 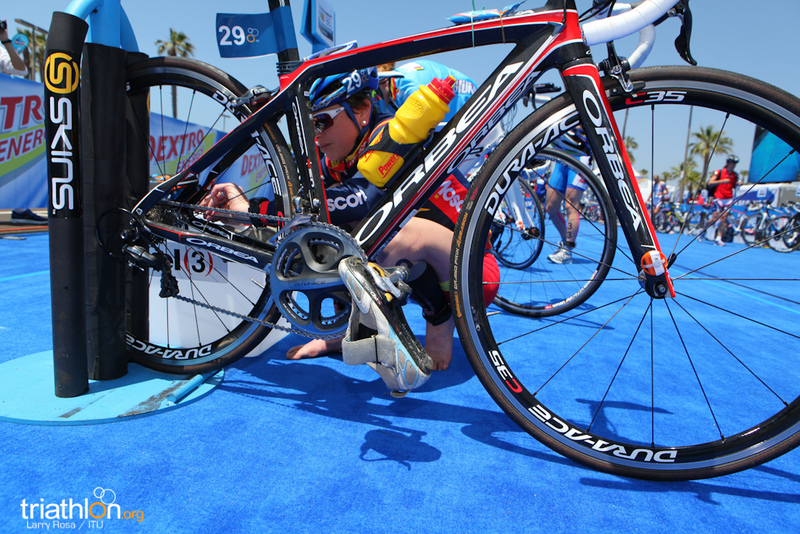 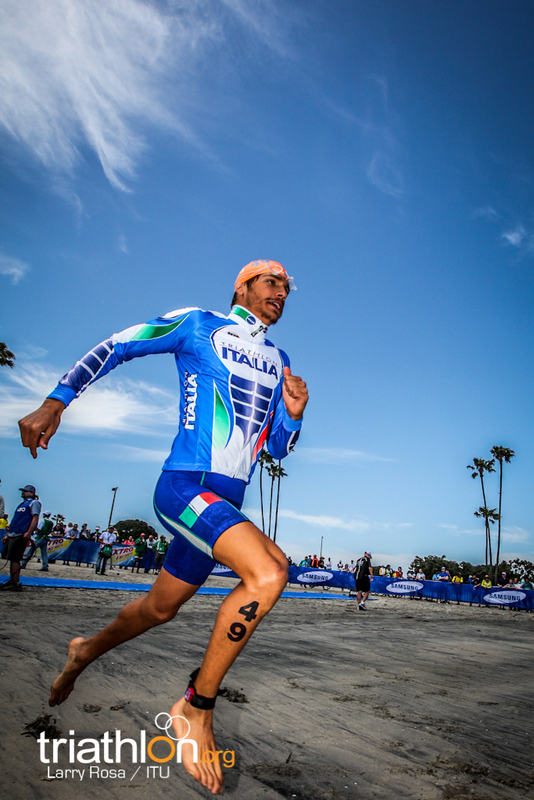 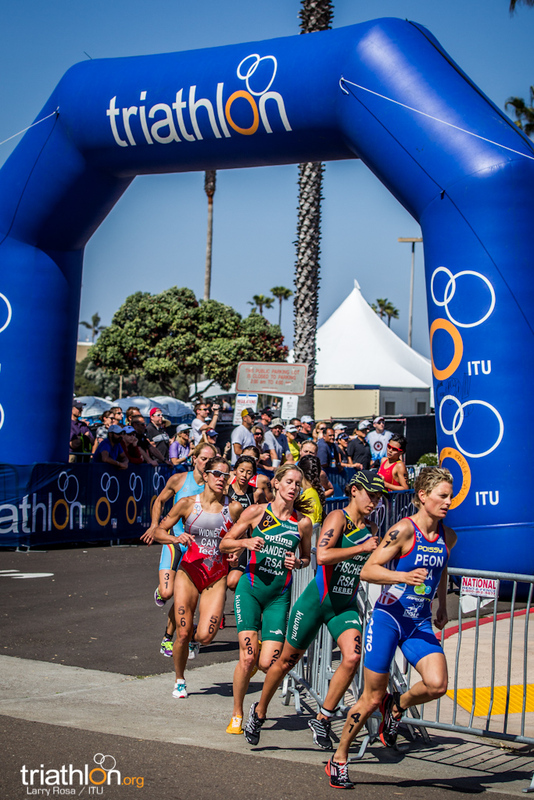 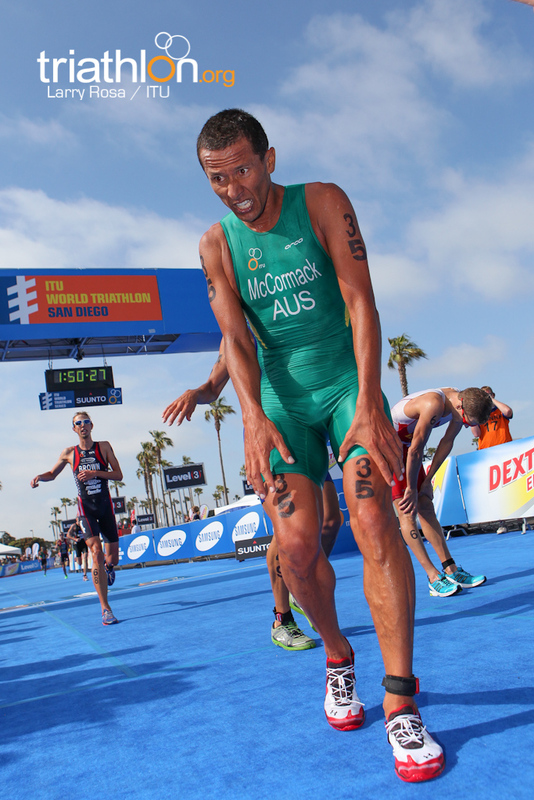 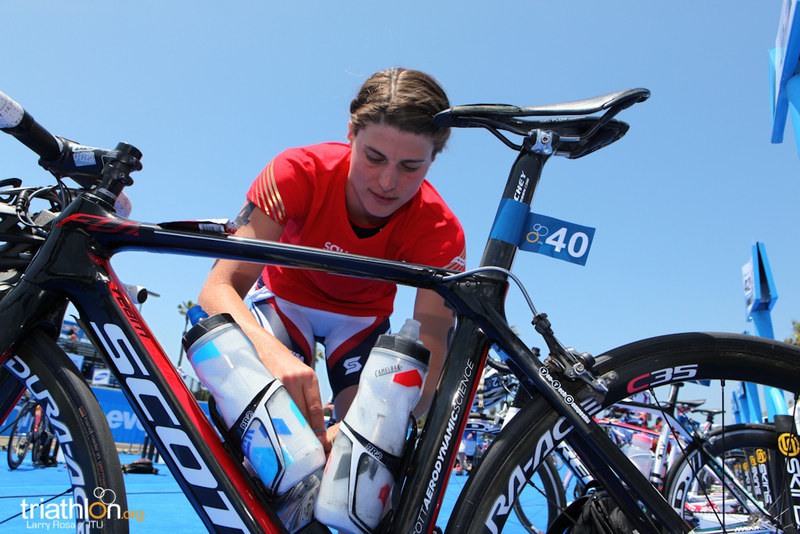 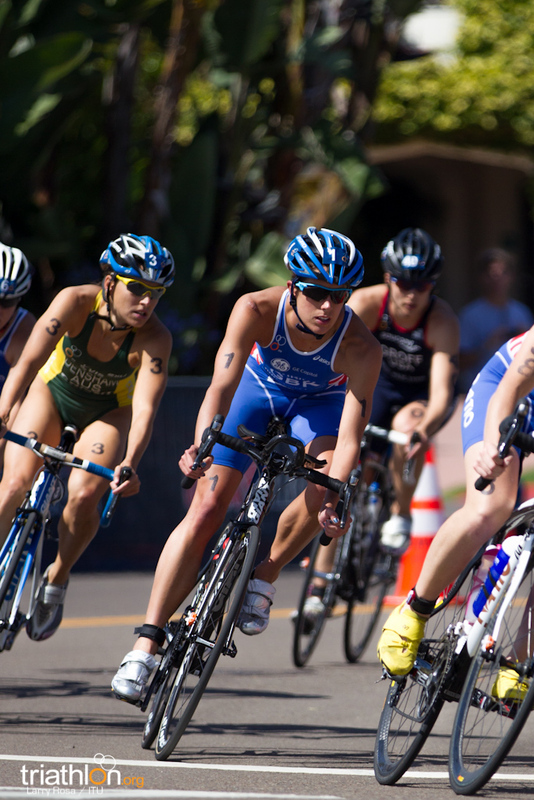 Not only as one of the final Olympic qualification races, the ITU World Triathlon San Diego holds particular significance as the race represents a milestone in the sport of triathlon. 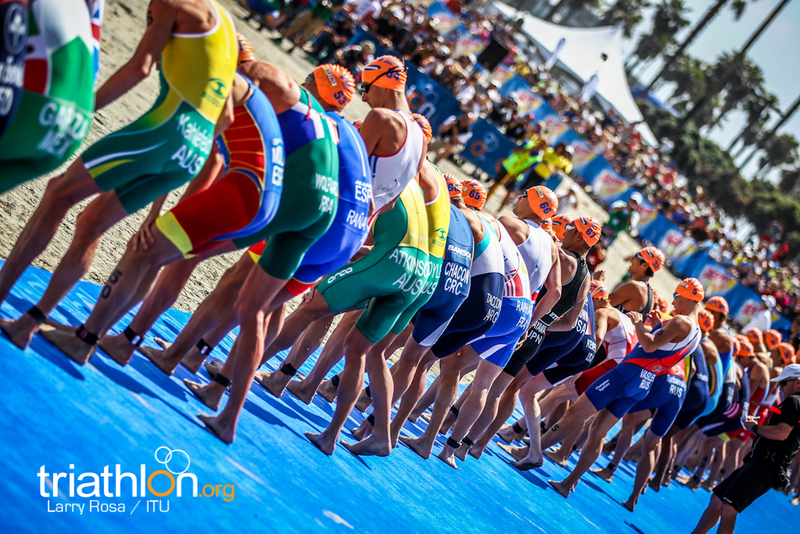 The athletes lining up this weekend will begin a very different race to their fellow triathletes did back in 1974, but all will take their place in the history and development of the sport. 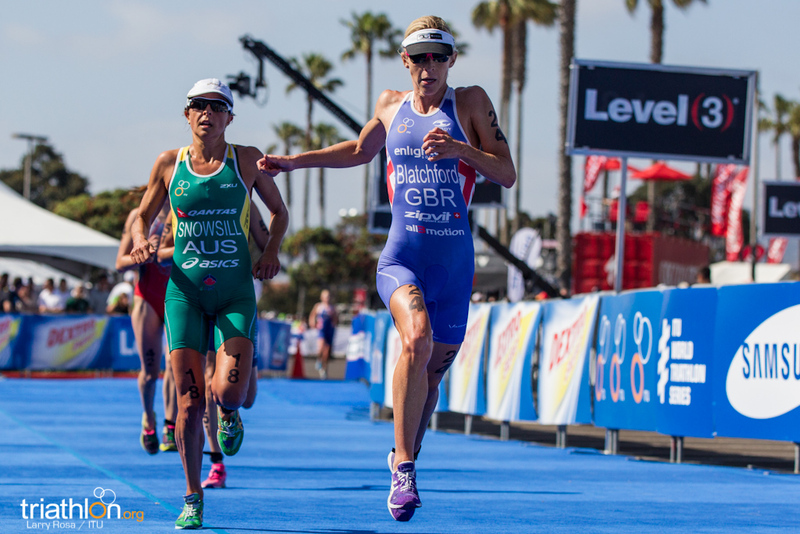 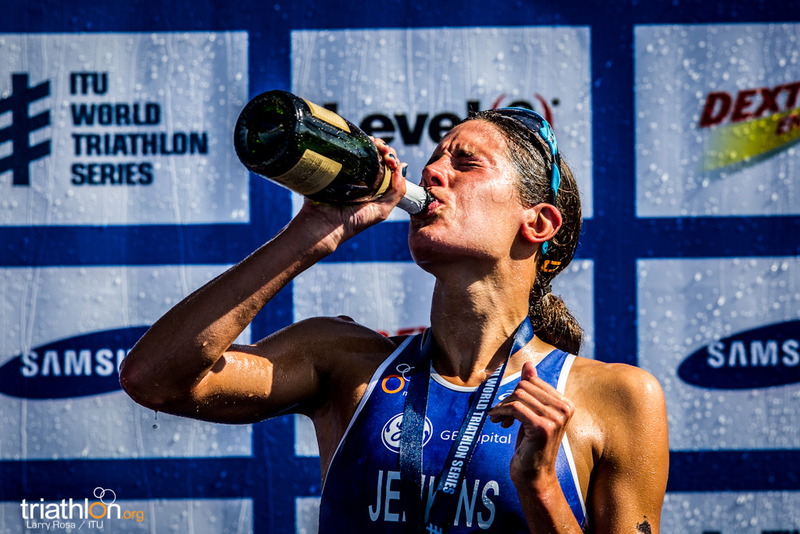 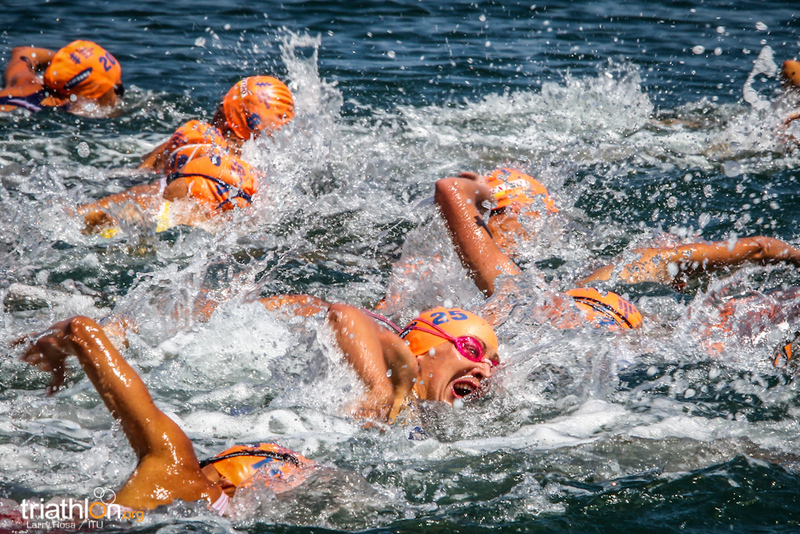 To reflect over the almost 40-year history, it is clear to see the incredible achievements placing triathlon in its current position among world sport. 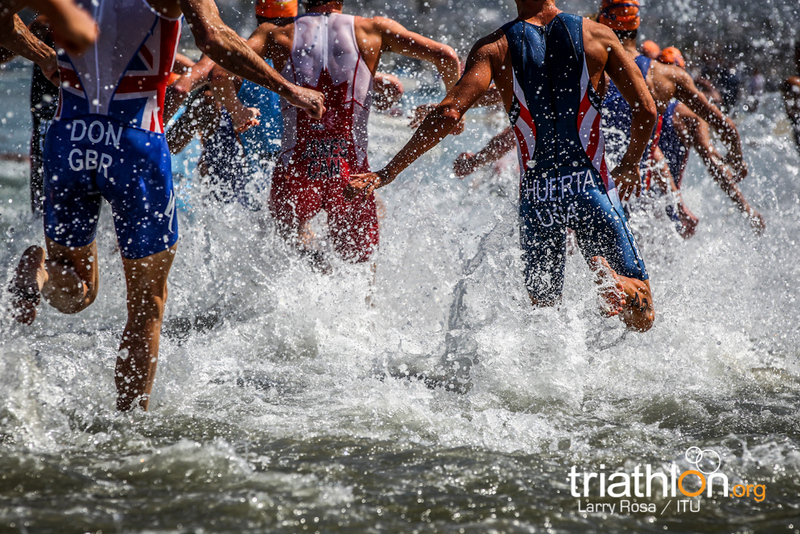 It is thanks to the sheer nature of triathlon, the relentless drive and dedication influencing so many that has brought the sport so far and is certainly only a sign of things to come. 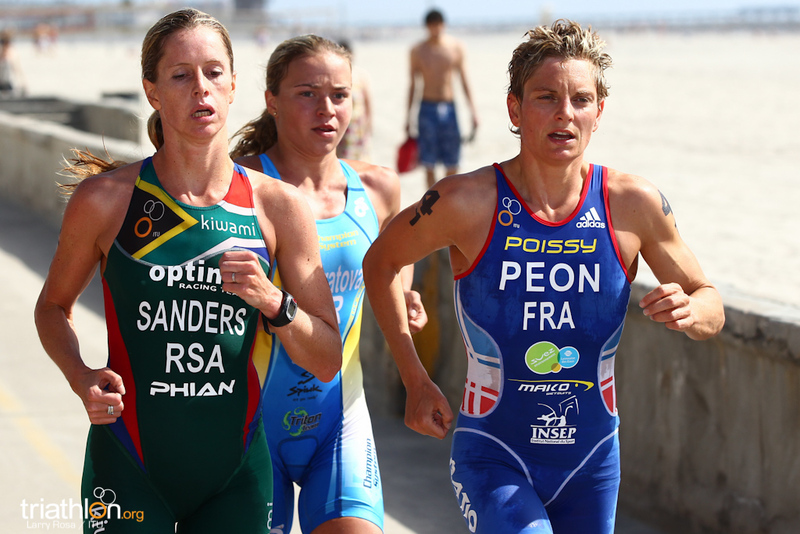 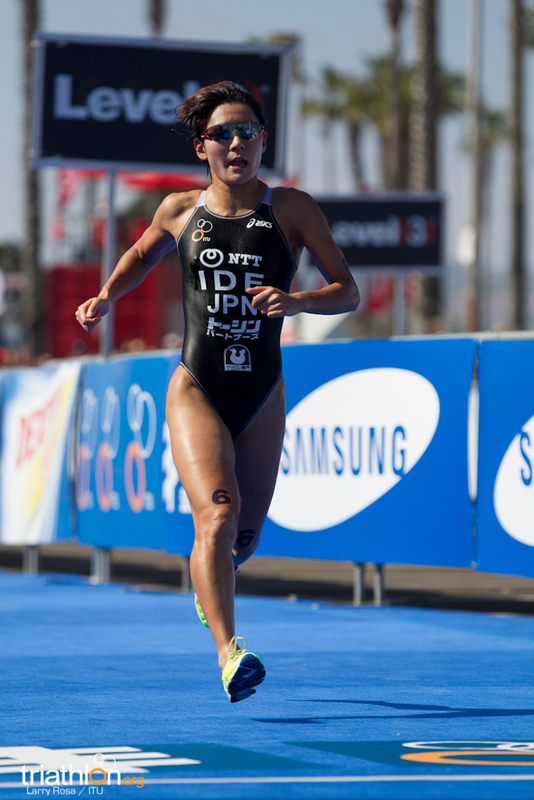 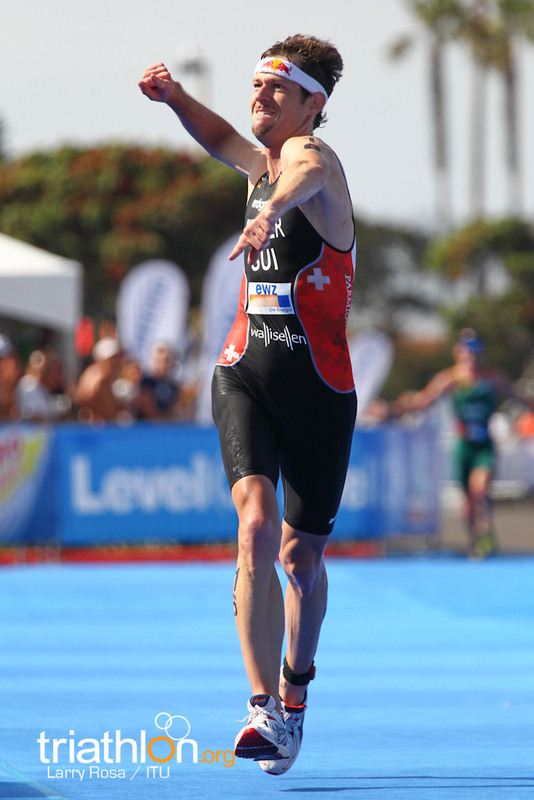 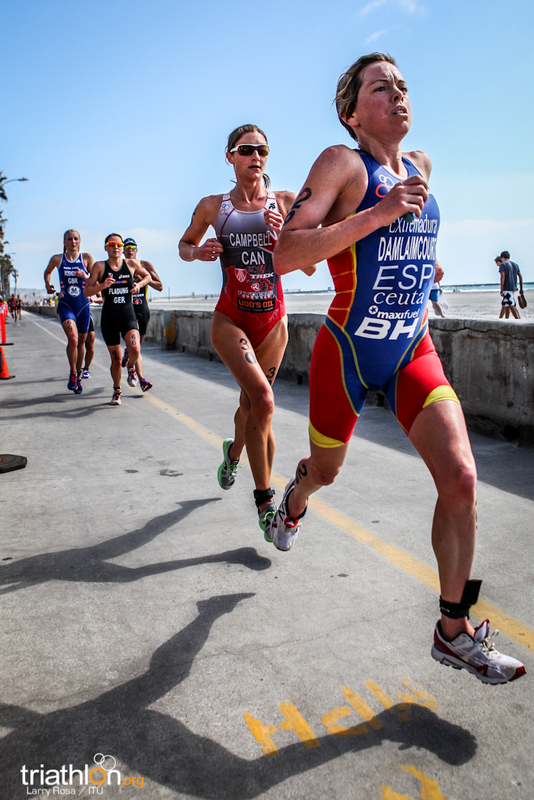 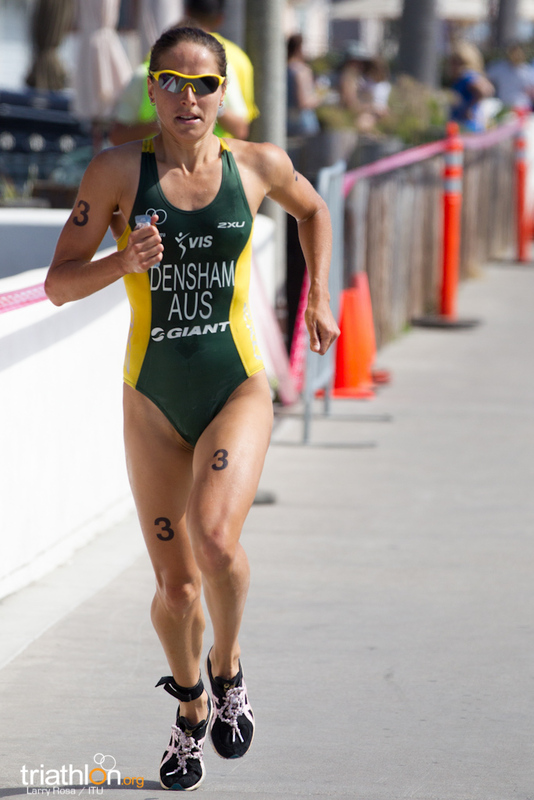 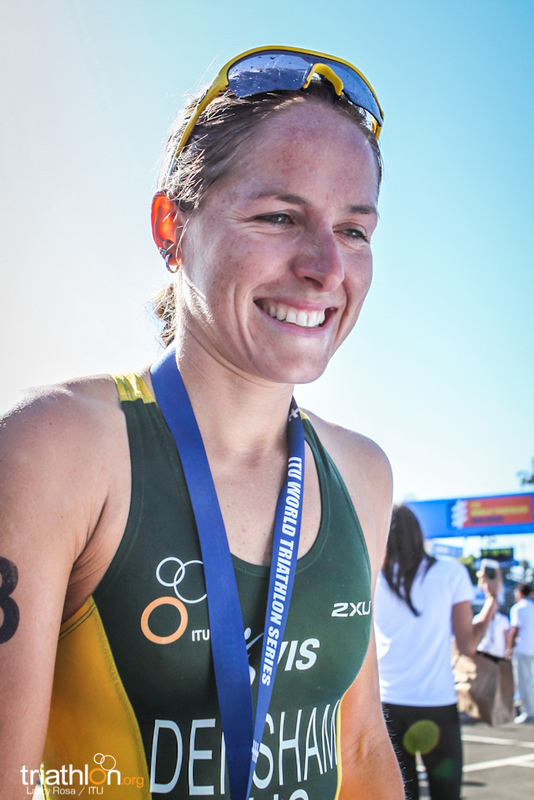 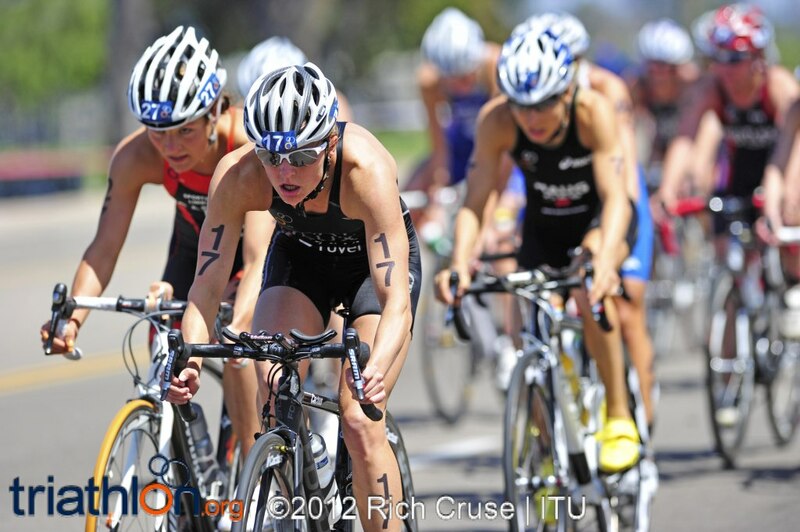 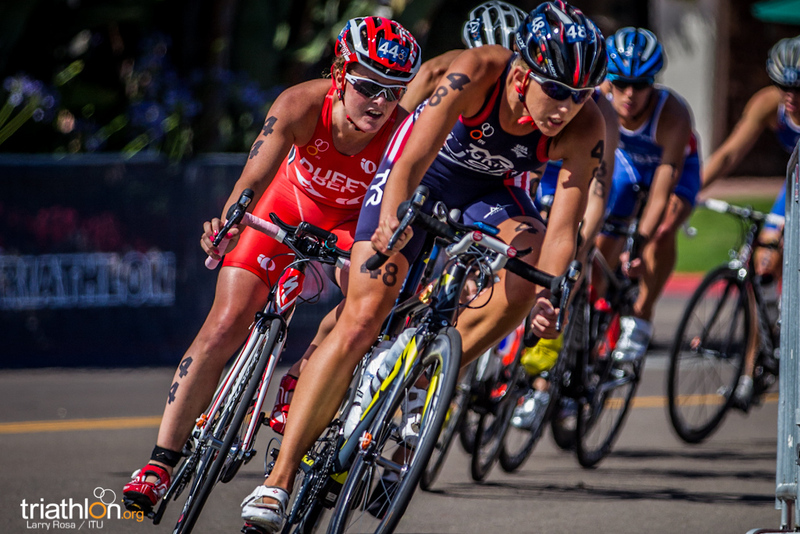 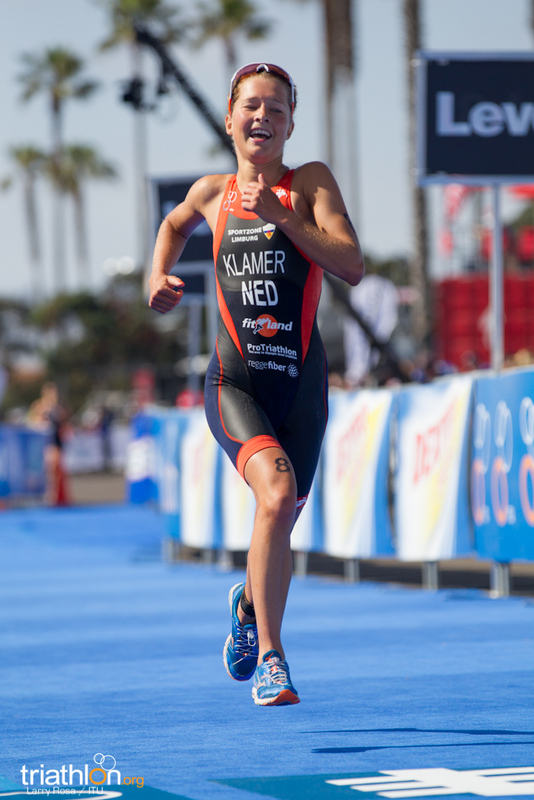 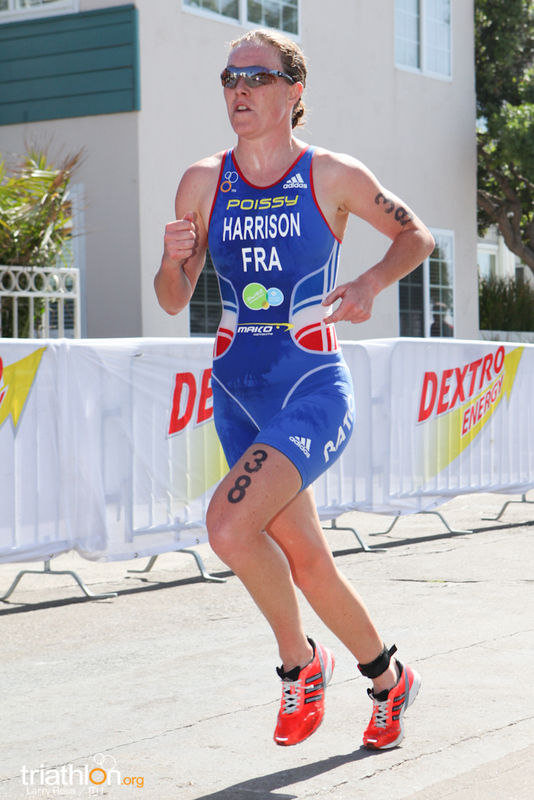 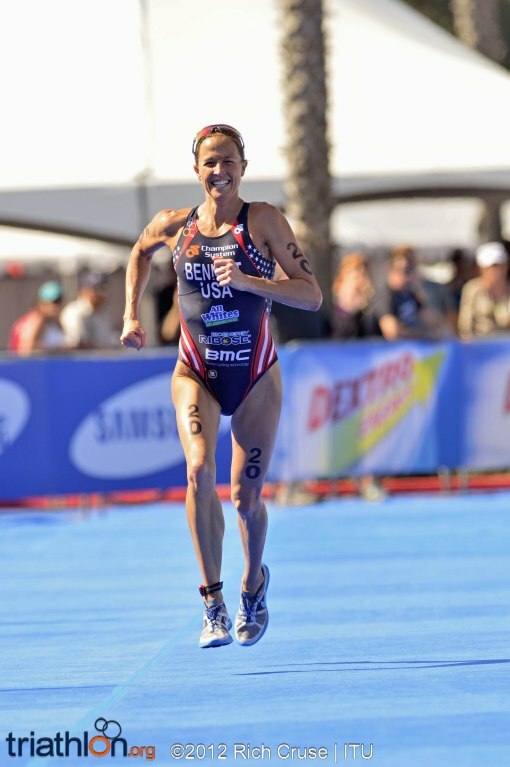 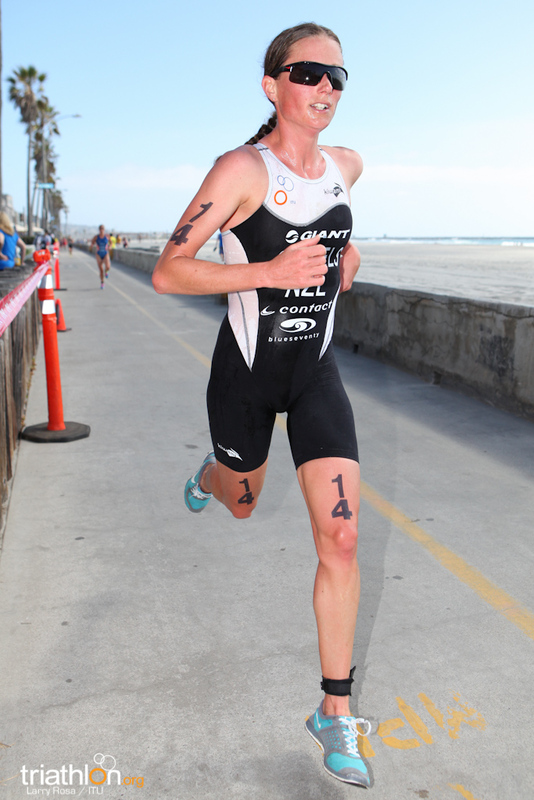 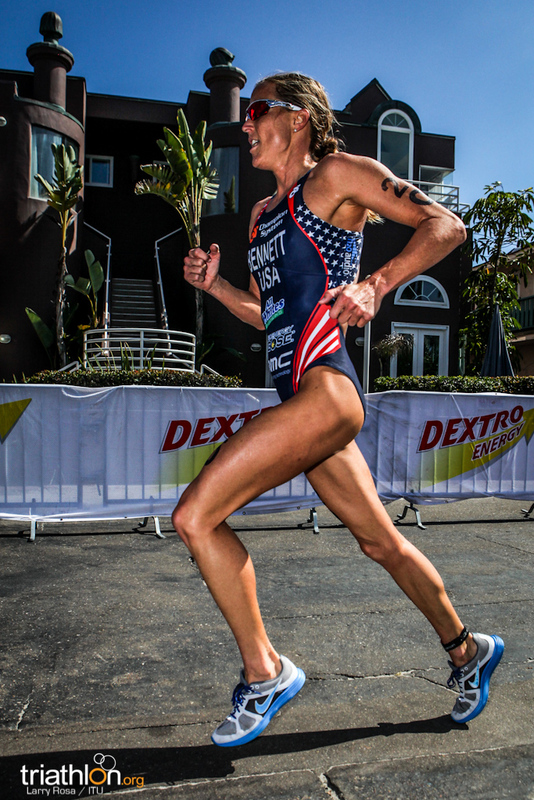 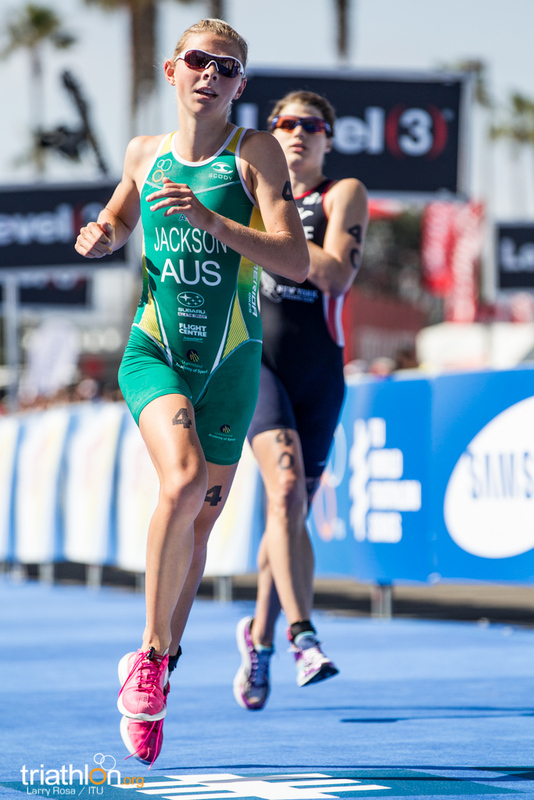 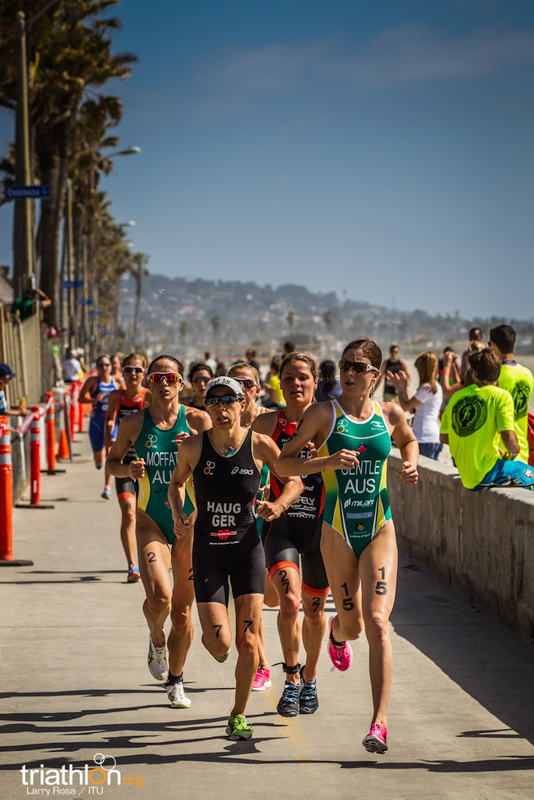 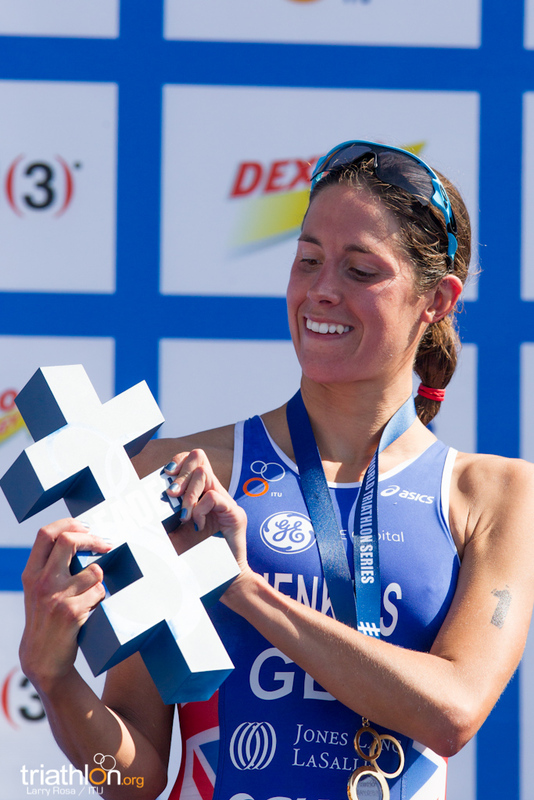 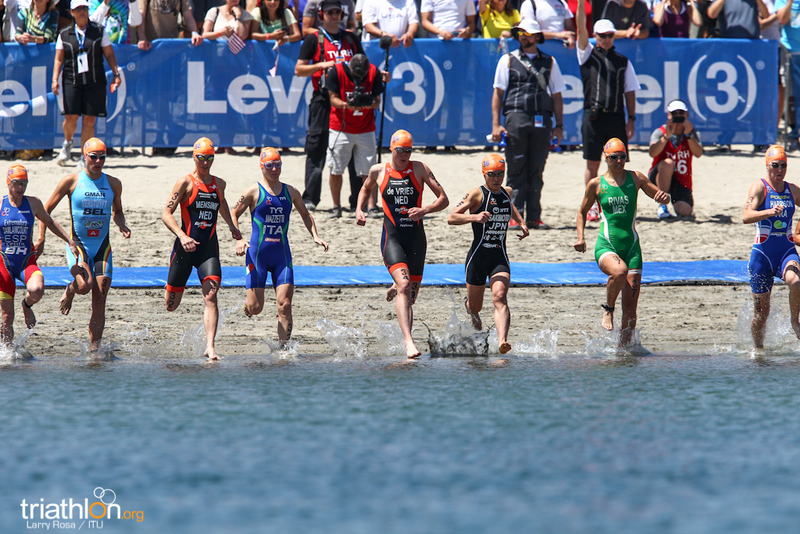 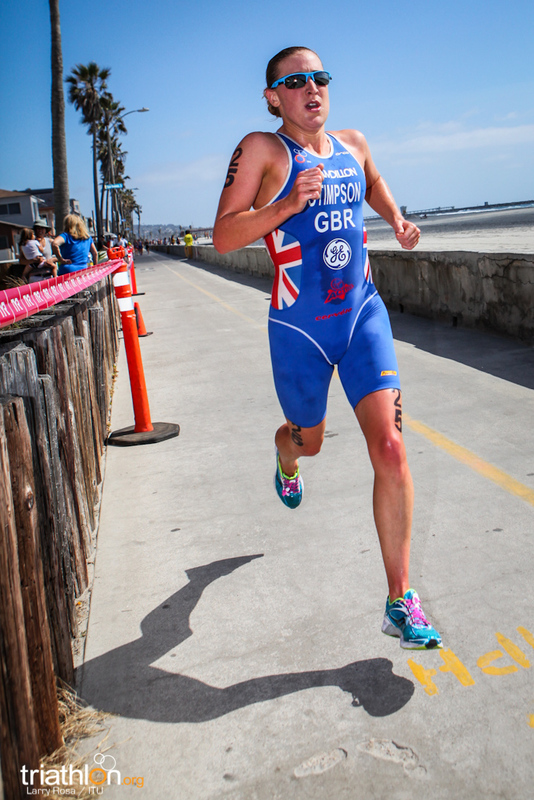 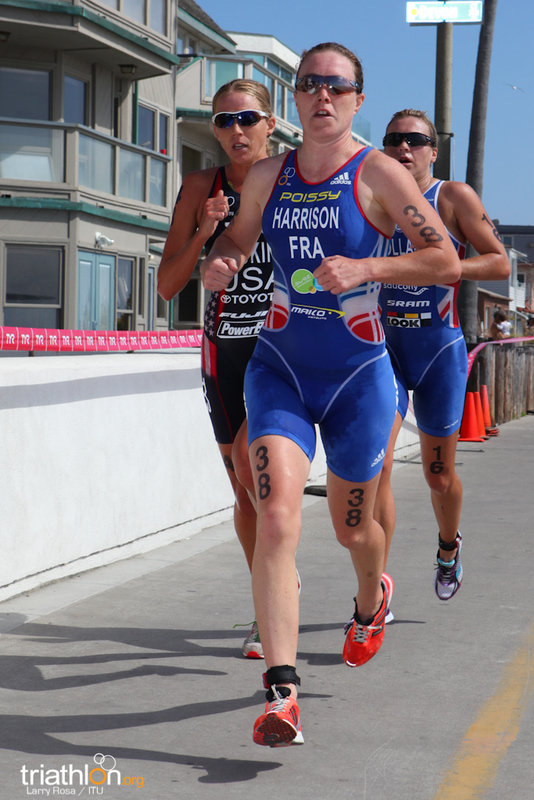 Tune into triathlonlive.tv on Friday 11 May at 14:00 PST for the elite women’s race. 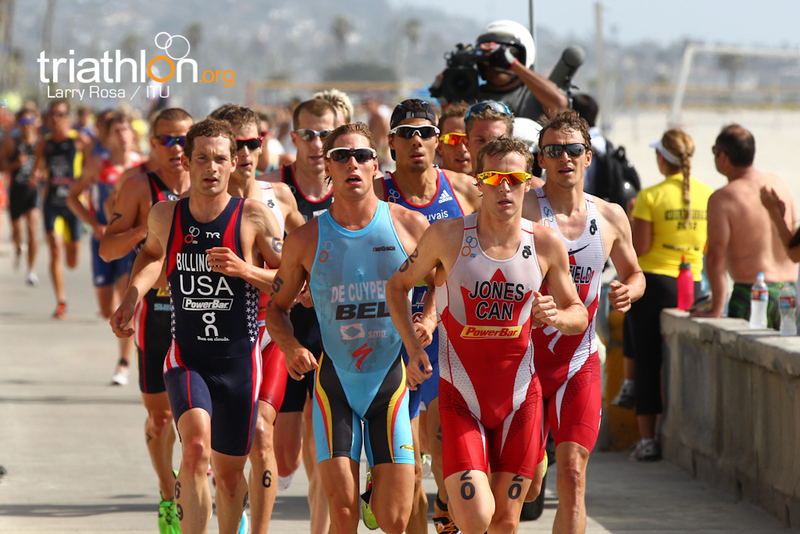 The men’s race begins at 14:30 PST on Saturday 12 May. 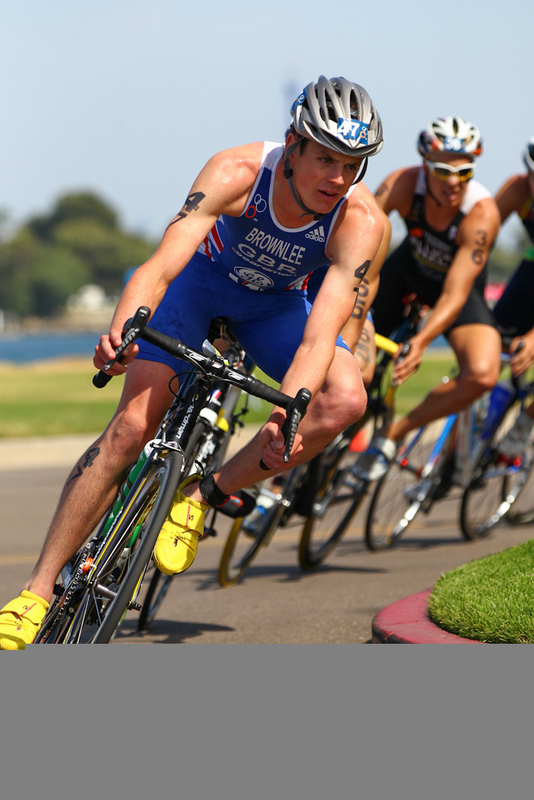 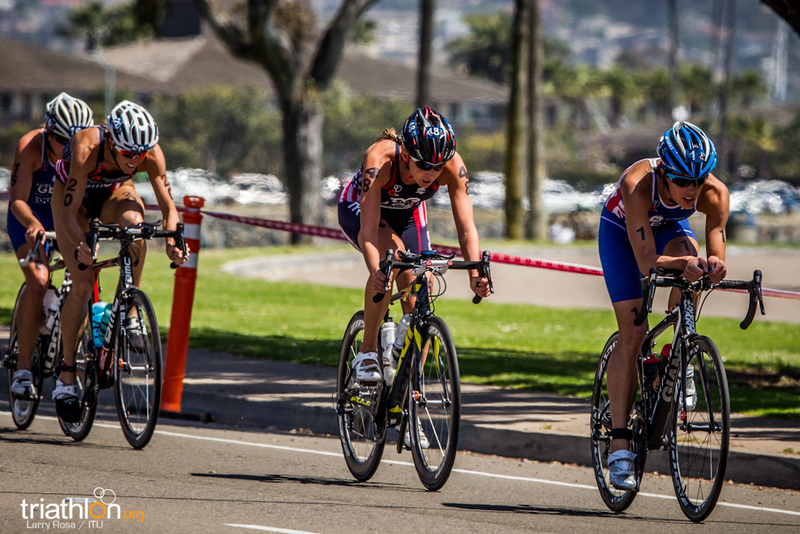 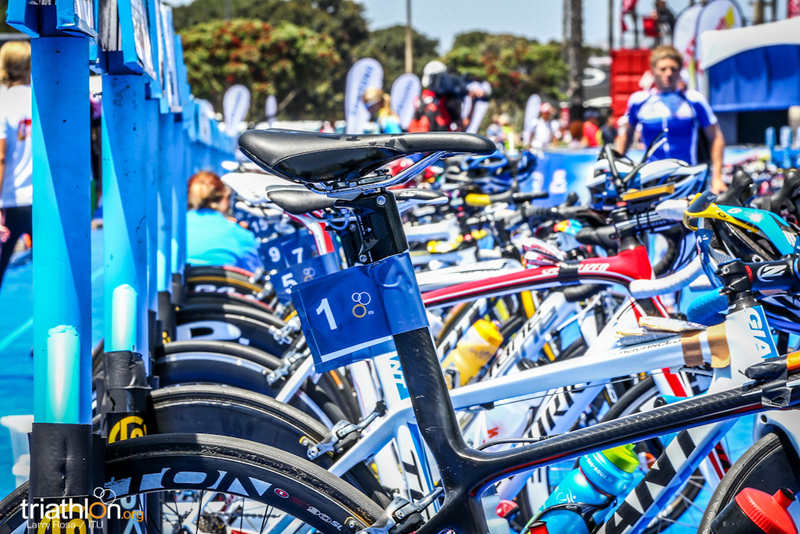 The ITU World Triathlon Series takes ITU racing to San Diego for the first time this weekend, the birthplace of modern triathlon. 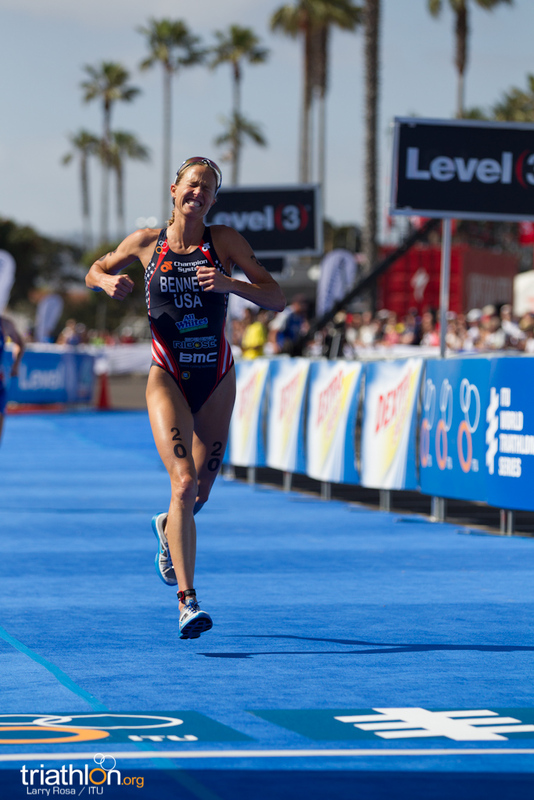 See who are the contenders in these historic races here.